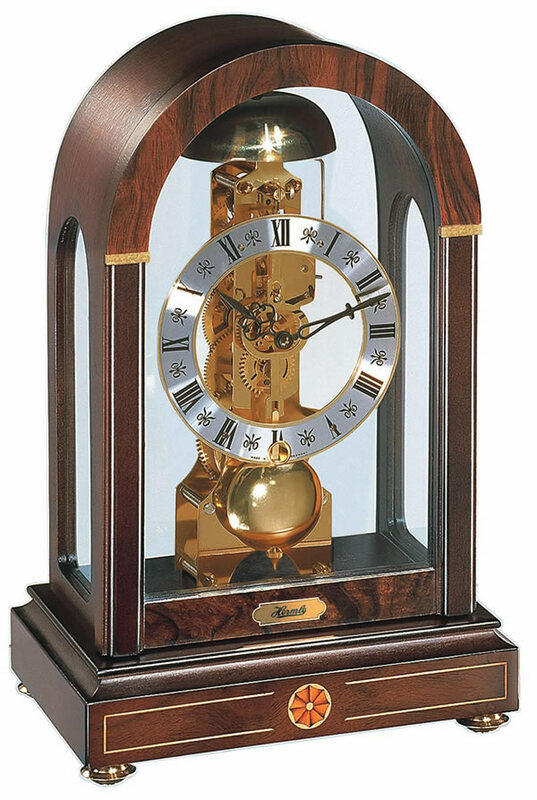 Walnut Skeleton Mantel Clock has been crafted in Walnut with burl inlays in a piano finish. 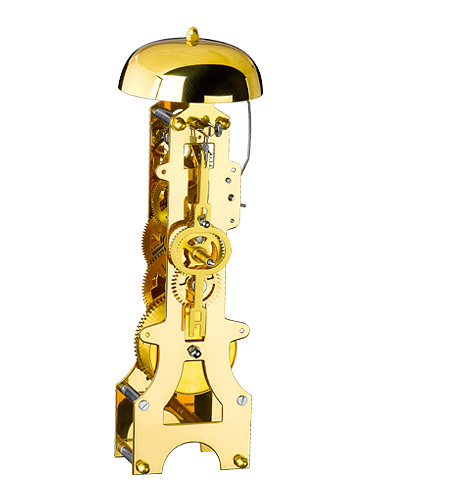 It features a 14 day skeleton movement with an hourly chime and mechanical pendulum. It also features a 14 day power reserve. .
One strike on a bell each hour.